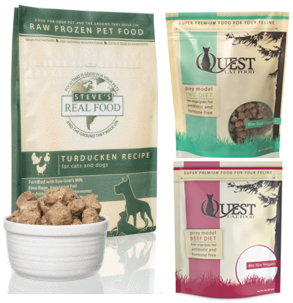 This is the 2nd recall of the year for Steve’s Real Food, and it involves pet food for both dogs and cats. According to the FDA announcement, no pet or human illnesses have been reported as a result of these products, which were recalled after tests by the Washington Department of Agriculture came up positive for salmonella and listeria. Bravo Packing, Inc. is recalling this raw frozen dog food after a sample tested positive for salmonella. 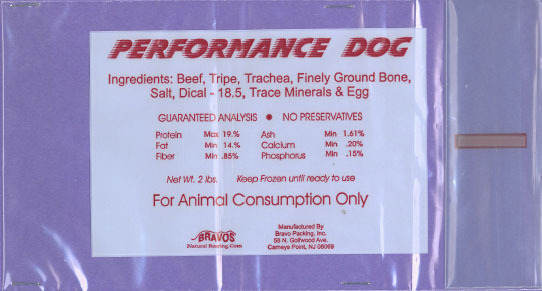 According to the FDA report, Bravo Packing, Inc. of Carneys Point, New Jersey, is recalling this raw frozen dog food after a sample of Performance Dog, collected during an FDA inspection, tested positive for salmonella. If you feed your pets either of these company’s products – please discontinue use of them immediately. Listeria and salmonella are both very serious and can make your pets very sick.